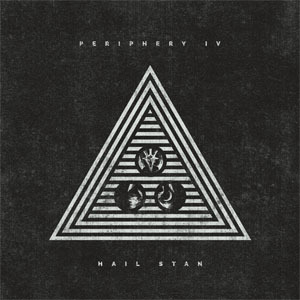 PERIPHERY will release their fifth album, Periphery IV: HAIL STAN, on April 5 via their own 3DOT Recordings. Pre-orders, which include several limited-edition vinyl and merch bundles, are available now via https://store.3dotrecordings.com/ (physical) and digitally via iTunes (smarturl.it/hailstan_it). Digital pre-orders include an immediate download of “Blood Eagle” which can be streamed now via Spotify (smarturl.it/bloodeagle_sp). Periphery IV: HAIL STAN is the first release to follow the band’s 2017 GRAMMY® Award nomination in the “Best Metal Performance” category, for Periphery III: Select Difficulty album opener “The Price Is Wrong”. The 2016 album tallied 35 million cumulative streams and marked their third consecutive debut in the Top 25 of the Billboard Top 200. It represented the apex of a tireless decade-long grind. Along the way, the band graced the covers of Guitar World, Revolver, Modern Drummer, Bass Player and more. In between the touring, endorsements and appearances, they also launched a summer camp of their own, “Periphery Summer Jam”.